As part of the iAi group I would like to highlight Samreen Ahsan’s powerful romantic novel, A Silent Prayer this month. Winner of several awards, this is the perfect book to spice up a dreary Sunday. Enjoy! For more information about the author, please visit here. Though drones may frequently be seen as a way to navigate through the world without too much human interference, some illustrators are adding a touch of humanity to drones by using them to create art. The growing trend seems to have started back in 2007 when an artist named Addie Wagenknecht created pieces for an exhibit called Shellshock. By laying a canvas down flat, Wagenknecht was able to pilot a drone as it sprayed powdered paint over the white surface. In 2007, drones were less stable in the air than they are today, and the inconsistencies in their flying added further depth to Wagenknect’s work— the drone itself seemed to be choosing how the art unfolded. Shellshock, her first solo exhibit, took place at the bitforms gallery in New York City and featured drone paintings in two distinct styles. Some had a soft, ethereal feeling to them, which Wagenknecht says was inspired by Holi, the Indian festival of colors. Other pieces had jagged corners and solid black lines, which evoked feelings of warfare, barbed wire, weapons, and shrapnel. Of course, not all art created by drones has been legal. In April 2015, graffiti artist KATSU used a Phantom drone to paint a red scribble across a New York City billboard. To dispense the paint, KATSU attached a modified fire extinguisher to the drone. The billboard, which is nearly six stories tall, had been nearly untouched by vandalism due to its huge size and busy location. After the graffiti stunt was pulled off successfully, the artist confessed that not only was he nervous about potentially getting caught but that the drone itself had been difficult to operate. KATSU has also had an exhibit of his own at The Hole NYC, where he displayed drone graffiti on both regular canvas and pieces such as furniture. A much simpler but more precise method of creating illustrations with drones has arisen with A Flying Pantograph. Hailing from the Fluid Interfaces Group at MIT, creators Sang-won Leigh, Harshit Agrawal, and Pattie Maes came up with a drone that follows the motions of a pen. As the artist moves the pen across a surface, the drone draws a real image with a marker. Their goal was to create an experience that allowed artists to feel both connected and disconnected to the process. Drawing slowly with the pen would allow the drone to create more precise lines, but drawing too quickly would produce an unfinished yet unique image. The experiment produced great results, and artists from all ages, from children to adults, got to play with the drone at an MIT exhibit in October 2015. If you’d like to paint with a drone- legally, of course!- you can find instructional videos here. Have fun, and go create a drone masterpiece! 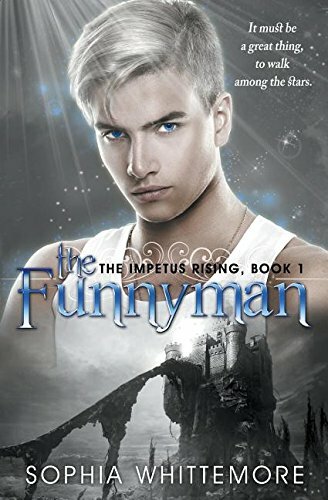 Today we’re chatting with Sophia Whittemore, author of the young adult fantasy series The Impetus Rising. After publishing the first book in the series at only seventeen years old, Sophia stands out as a young and highly skilled story teller, and her books take fans of action adventure and fantasy on a thrilling ride from cover to cover. We asked her a few questions on her writing process, her books, and her perspective as a young established author. So, let’s get started! Question 1: When reading young adult books, many of the protagonists are written by authors who are much older than their main character. What unique perspectives do you bring to the genre, writing about a character who is closer to your own age? Sophia: Being pretty much the same age as my character, I feel that her voice (Diana’s, the name of my character) is really just my voice. Whenever Diana complains or acts sarcastic, that’s exactly how I would act if put into that sort of fantastical situation. Her problems, e.g. prom and any other drama, were also probably my problems, as well. As for unique perspectives, my character is also half-Indian and I come from a half-Indonesian background. So, I guess some could argue that my character actually IS me when it comes to her background and sarcastic personality. Question 2: What inspired you to seek out a traditional publisher, rather than self publishing your first novel? Sophia: I felt that traditional publishing would allow me to sort of have a family starting within this business. Self-publishing is great for some people, but I felt that traditional publishing was just a more natural option for me. It’s a family as opposed to going it your own way. Question 3: Your prose is eloquent, vivid, and full of emotion. How much practice did you have writing before you wrote The Funnyman? Sophia: Why thank you! I’ve been writing since birth, which most authors would tell you. But, as for the more “literary” style, I’ve developed that over probably four to five years of practice on short stories and other novels. The Funnyman was actually written during my sophomore year of high school. Question 4: Many young writers aspire, like their main characters, to set off on their own, forge their own path in life, and find success. What advice can you give to a young author who may feel overwhelmed at the thought of publishing while they’re young? Sophia: Don’t be overwhelmed and, most importantly, don’t engage in self-sabotage early on in the game. When you start out, a writer tends to have a lot of self-doubt. You write the novel, get a rejection or two, and then you give up and decide that nobody will ever like your writing but your parents. That’s not the case. Get feedback on your writing, take what you can from the feedback, but don’t let the feedback consume your every waking thought. Publishing, as many will say, is a subjective business. One person may love your story and the next will hate it with a passion. If it helps, treat writing like just another subject in school. Study up on it by studying what other writers did to get published, then follow what they did. If their method doesn’t work for you, try what another author did. Seek out publishers that seem right for you, do a ton of research on self-publishing if that’s the route you wish to take, and go on writer’s forums and lurk there in order to find out what other hopeful writers may be struggling with, as well. Do your research and find what works for you. No one author will give you every bit of information there is to know about publishing. That’s why you have to branch out all your research. Start out by researching “how to get published”, and then go into specifics with terms like “query letter” and “pitching your book”. Question 5: You’ve just released book two in The Impetus Rising series, Death’s Fool. Was this book easier to write than the first, or did it present its own unique challenges? Sophia: The second book felt like a continuation of the first. It just sort of happened naturally. Of course, there were challenges in certain action scenes because more action happens in this book than the first. But that’s where your imagination comes in. And imagination is basically the primary tool of all writers. Question 6: Though this series is categorized as fantasy, what awesome elements does it have to draw in adventure fans? Sophia: This series is a thrill ride. There are fight scenes between shadows and humans, kidnapping and rescue missions, sword fights, and even time travel to an extent in the second novel. If rescuing princes in distress and sword fights don’t interest you, I don’t know what will. Question 7: Finally, after The Impetus Rising series is done, are there any plans to start penning an entirely new adventure? Sophia: I do have plans for more adventure series, but I also have to balance that with starting my freshman year at Dartmouth College. I’m writing the new books right now that are more in the vein of fantasy and pirate adventures. Three cheers for magic! Thank you so much, Sophia! If you’d like to check out Sophia’s books and learn more about her, please visit her website here and visit her on Goodreads! Sophia Whittemore is a Dartmouth student and multiracial author with an Indonesian mother and a Minnesotan father. She has had book signings at Barnes & Noble for her Impetus Rising Series, available on Amazon and other outlets, the first book published when she was only seventeen. She has been featured as a Standout in the Daily Herald and a Rad Reads author in Girls’ Life Magazine. Her love for the English language manifested itself in eighth grade when she went to the Scripps National Spelling Bee and has continued with other languages such as Spanish and Indonesian. Her prior publications include “A Clock’s Work” in a Handersen Publishing magazine, “Blind Man’s Bluff” in Parallel Ink, and winning multiple awards in the Best Midwestern Writing competition for high school writers. She currently resides in Chicago, Illinois with her family and food-loving mini schnauzer called Tiger. Drawing on inspiration from her two cultural backgrounds, Sophia lives a life playing tennis, traveling, and writing about her dual life experiences through other characters in her works or on her blog. Gae-Lynn Woods is a Texas author with a real gift for spellbinding sentences and a heartbreaker of a story. I read this book in two sittings. Whether you’re headed to the beach, have a long plane flight ahead of you, or are just looking for an entertaining and memorable thriller to while away a few hours, look no further than Devil of Light. Find out more about Gae-Lynn Woods on her website. Drop Your Work and Pick Up a Drone! If you’re thinking that drone technology may one day replace the work that people typically do with their hands…well, you may be right! The latest brainstorming in the drone community has resulted in a downpour of unique ideas. Using drones to retrieve items from dangerous places could reduce the risk of injury to both people and larger machines, and word has it that the electrical company GE is researching into drones to do similar jobs, such as inspecting damaged power lines. The company DroneSeed, with a location in both Seattle, WA, and Beaver, OR, specializes in using drones to plant, maintain, and survey forestland. Not only does this cut down on the cost of manual labor, but it also is a fast and effective way to maintain land that’s subject to extreme location or weather. In Japan, even childcare is being meshed with drone usage. With a dire need for childcare workers, a prototype of a childcare drone, called Or-B, is being programmed to do the repetitive tasks that typically wear a human childcare worker down, such as reading the same story to children over and over. With Or-B working to entertain children, human workers can focus on more personal interactions and taking care of tasks not yet capable of being done by drones. So, what do you think you could use a drone for? The possibilities are limitless, and with a little imagination, anything is possible!